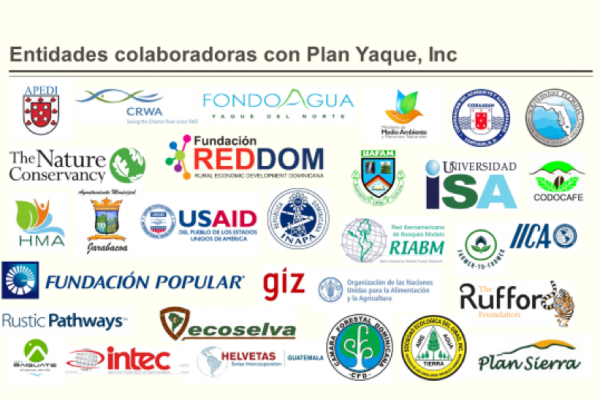 The Yaque del Norte Model Forest (BMYN, after its original name in Spanish) emerged from the idea to ​​create a platform that would allow a dialogue between the different stakeholders interested in the sustainable management of natural resources and the improvement of the inhabitants’ quality of life at the upper basin of the Yaque del Norte River, in the Dominican Republic. The BMYN seeks to generate a model of participatory and inclusive governance that allows the development of sustainable productive alternatives for the inhabitants of this region. The sustainable management of natural resources in the BMYN faces several challenges that must be dealt with to achieve the objectives of conservation and sustainable use of the forest cover in the region, the improvement in the quality of agricultural products, the strengthening of the different chains of marketing, as well as the level of organization in the communities. In general, the main challenges BMYN faces are the development and maintenance of a big scale vision, the commercialization of forest products and by-products in a sustainable way and the lack of participation or organization. 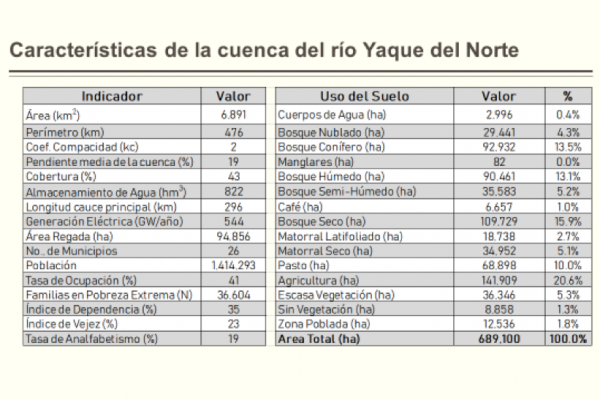 The upper basin of the Yaque del Norte River (CAY), is on the Northern slope of the Central Cordillera and covers approximately 83,000 hectares. It is located between the Provinces of La Vega and Santiago. 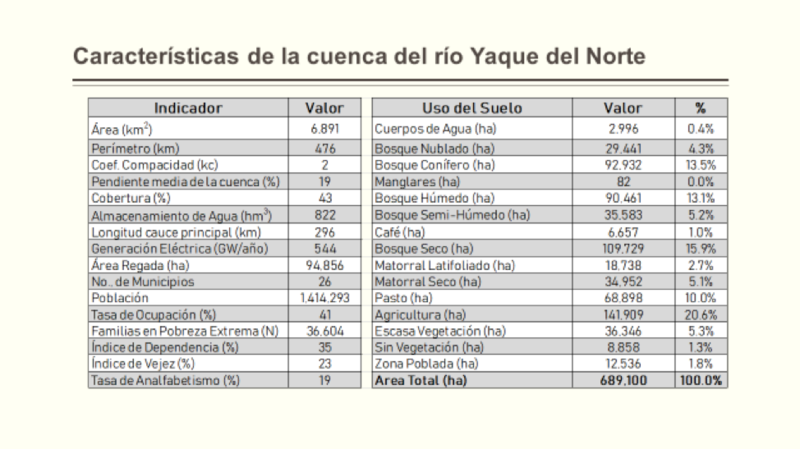 70% of the area is located within the geographical limits of the municipality of Jarabacoa. 30% of its surface is covered by forests; 60% is used for livestock, while the remaining 10% is for intensive agriculture and coffee plantations. The BMYN has a rich biodiversity, with different types of ecosystems and exceptional climatic conditions, with altitudes that vary between 400 and 2,200 meters above sea level. That is where several of the country´s main rivers are born; their contribution to the national water network is of indisputable importance. The following ecological zones have been identified: very humid and low montane forest, humid montane and low forest, very humid subtropical forest, subtropical humid forest. In these zones, Pinus Occidentalis (Creole pine), Juniperus gracifor (juniper), Catalpa longisima (Capá) and Swetenia mahogani (mahogany) abound. The area has a population of approximately 47,000 inhabitants. The main productive activities are labour-intensive requiring an abundance of workers, but are good for the national commerce, as well as internationally. These activities include an intensive agriculture (beans, vegetables), the production of commercial forestry and the production of non-traditional crops (strawberries, flowers) and coffee. 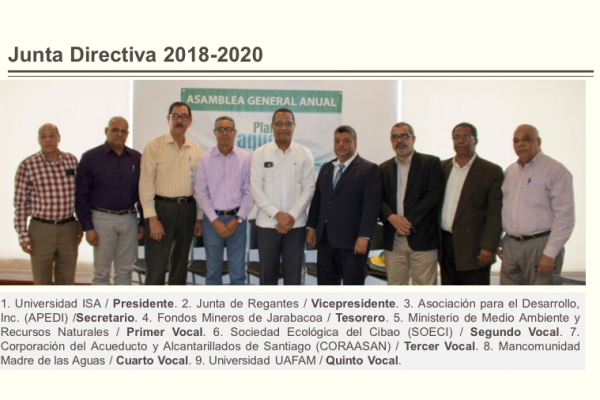 Participation in the BMYN brings together various key organizations and institutions such as city councils or local governments of five municipalities located in the Central Cordillera (Constanza, Jarabacoa, Jánico, San José de las Matas and Monción). 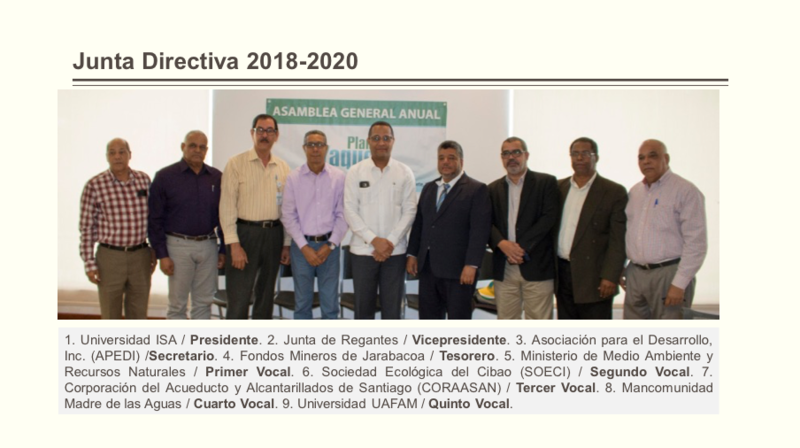 Also participating in establishing policies for the sustainable management of natural resources are important entities such as community-based organizations, forestry organizations, agricultural producers, micro-watershed councils, and local representations of the main state institutions, among others. 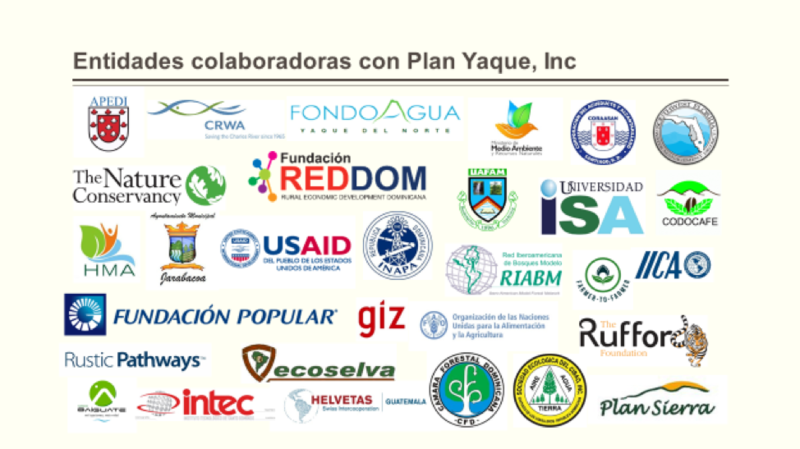 It is necessary to create and develop alliances and cooperation agreements to achieve the objectives of the conservation and restoration of the forest cover, the sustainable use of the natural resources of the region, as well as, the improvement in the quality of the agricultural products and the strengthening of the different marketing chains and the organization of the communities. Establishing a Payment for Environmental Services (PES) mechanism as an instrument for the sustainable management of natural resources.